There are multiple factors to keep in mind when upgrading your bathroom. 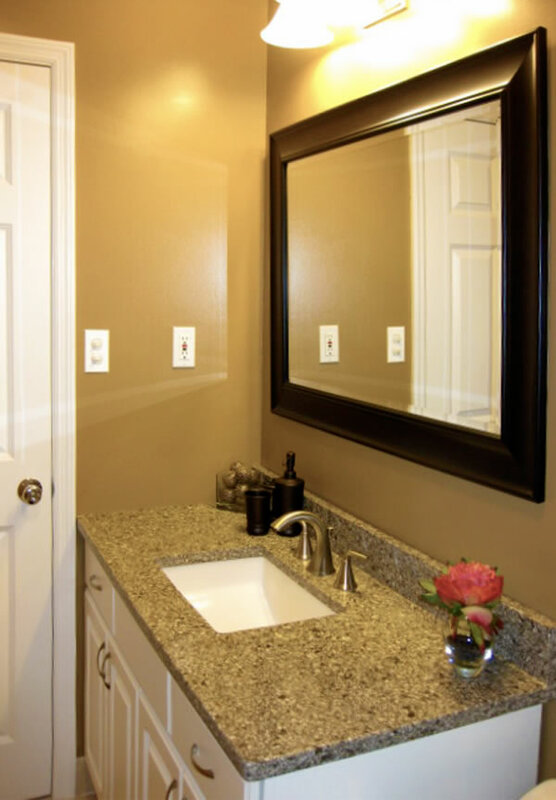 One of the most impactful decisions you’ll make is in regards to your bathroom countertops. Explore these five material options before your contractor begins work to help you pinpoint the best fit for your space and needs. Solid surface materials are engineered to resemble natural stone. The structure allows for it to be shaped, so it’s possible to achieve the clean-lined appearance of an integrated sink basin. Solid surfaces are easy to care for and less expensive than natural stone, however, if your goal is a luxury appearance, the engineered material has a more artificial-looking quality. Natural stone is a luxury, premium choice for bathroom countertops. Choosing stone provides for a truly one-of-a-kind, unique look as no two slabs of the building material look exactly the same. Natural stone does require more upkeep than some other options, as it will need to be periodically resealed. If you haven’t checked out modern laminate, don’t write it off. The material has improved throughout the years and you’ll find laminate available in a wide array of textures and colors. It doesn’t convey the same sense of glam or luxury as other choices, but the price for laminate countertops is hard to beat. Opting for countertops constructed of porcelain or ceramic tile allows for a unique design and look. Depending on the type of tiles chosen, this can be a budget-friendly choice. Drawbacks include that they can easily crack and cleaning all of the grout can be hard work. Cement is a current trend for countertops. The material provides a modern look that sets your space apart from other bathrooms. Countertops made from cement are strong and durable and should be installed by a professional contractor with ample experience in working with the material. The options are nearly endless when it comes to designing your dream space. Keep in mind how often the bathroom is used, your budget and the maintenance required before making your final decision. Your remodeling professional can help you choose the bathroom countertops that you’ll love for years to come.